When it comes to ensuring you and your family’s safety within the household setting, it’s absolutely essential that you have access to information pertaining to an Alarm’s function and placement. In the following section, we’ll be delving into the do’s and don’ts of utilizing a USI Alarm within your home. We’ll also be showcasing the strengths and versatility reserved for USI brand Alarms and how they can be instrumental in protecting your home from various hazards. One in any Bedroom and other areas reserved for sleep. One in every Living Room. One on each end of a Hallway exceeding 40ft. One in a Hallway that borders a Bedroom. One at the top of the First-to-Second floor Stairway. One at the bottom of the Basement Stairway. One in any area where Electrical Appliances are regularity used. While there are a host of applicable spots to install your USI Smoke and Fire Alarm, there are also multiple spots you'll want to avoid when it comes to installing your USI Smoke and Fire Alarm. The following list highlights all of the areas you'll want to ignore when it comes time to the installation process. The Garage and Kitchen - Both of these areas feature products and accessories that emit normal combustion. The Bathroom and Utility Room - These areas are hotspots for high humidity. Near Heating and Cooling Vents - Both of these spots emit turbulent air that interferes with the smoke detector's production. Extremely Dusty, Dirty and Insect-Infested Areas -These areas contain loose particles that interfere with the smoke alarm's production. 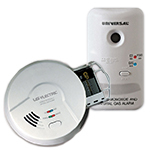 Our collection of Universal Smoke Sensing Alarms employs an advanced series of technologies specific to the USI brand and are capable of responding to both Fast Flaming and Slow Smoldering Fires in swift order. This is due to the realization of IoPhic technology and its increased capacity for deciphering multiple threats in a single unit. 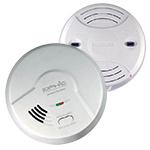 We currently sell the following Smoke and Fire Alarms that utilize this groundbreaking advancement in establishing the premier defense in your home. For those looking for an exceptional Alarm to alert them to the presence of Slow-Smoldering Fires, USI has stocked its collection with a series of highly responsive units that utilize Photoelectric Sensors. 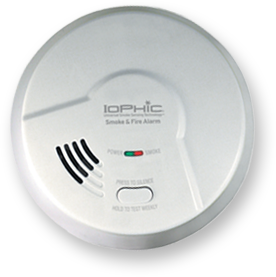 Our catalogue of Smoke and Fire Alarms also includes a selection of units that use Ionization Sensors. Ionization Alarms are an excellent choice for those looking for an alarm that’s especially efficient in detecting Fast-Flaming Fires. 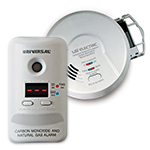 Carbon Monoxide (CO) is the leading cause of deaths attributed to poison in the United States. It is odorless, invisible and an extremely dangerous gas that can be emitted from everyday appliances to the car parked in the garage. The installation of Carbon Monoxide Alarms in the household is yet another necessary addition for ensuring maximum protection. Due to its subtle and often lethal qualities, Carbon Monoxide is something that should be taken very seriously. In an effort to assist you in the installation process, we’ve assembled a list that allows you to get the absolute most out of your USI Carbon Monoxide Alarm. One on every level in your home. One near or in any Bedroom and other areas reserved for sleep. One at least 15-20 feet away from a furnace or fuel burning heat source. One within 10 feet of the internal door to a Garage. One at the top of the Basement Stairway. 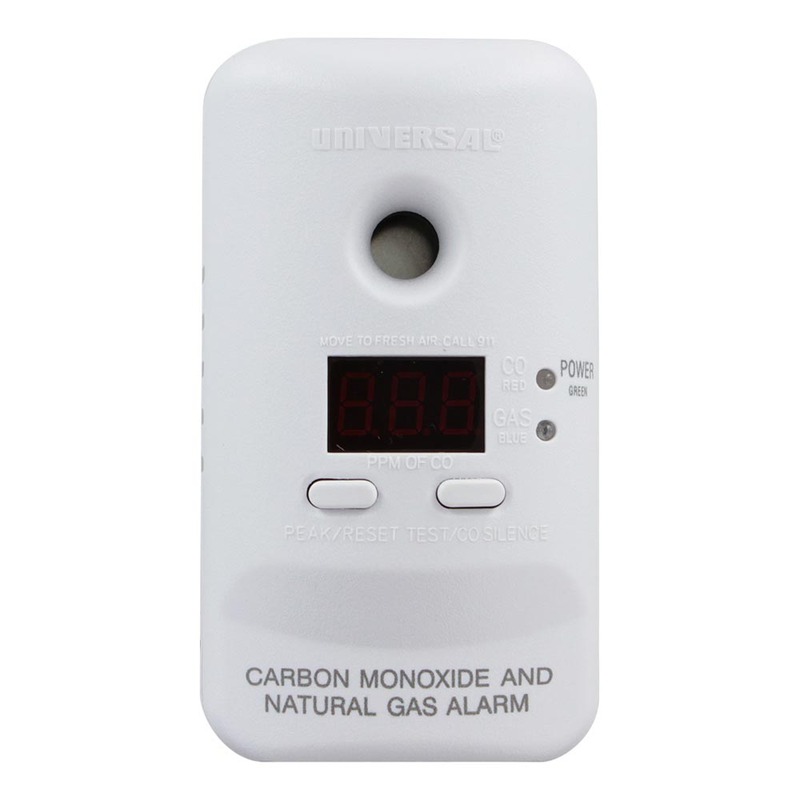 Our selection of Carbon Monoxide Alarms and Combination Alarms employ various technologies to achieve the very best results in detecting traces of CO and Natural Gas Leaks. In terms of overall efficiency and coverage, USI Combination Alarms offer varying levels of protection with the option of registering additional threats such as Smoke and Fire. The following is a list of all the models we carry that employ either dual, triple or quadruple protection. Gas Powered Kitchen Stove or Oven. Near Appliances capable of releasing heat. Near Windows that elicit a strong draft. 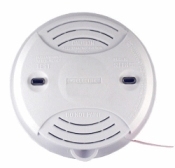 Behind Curtains, Drapes, Blankets or anything that would prevent CO from reaching your Alarm. 2-in-1 Detection Protection against CO and Natural Gas Leaks. 3-in-1 Detection Protection against Smoke, CO and Natural Gas Leaks. 4-in-1 Detection Protection against Smoke, Fire, CO and Natural Gas Leaks. Routine Cleanups and Tune-ups carry the additional bonus of keeping your Alarm performing in an ideal fashion. Dust and Debris can negatively influence your Alarm's performance. Be certain to vacuum the cover and surrounding area to ensure an uninterrupted level of operation. Many of the USI Alarms features a Test Button that allows you to check your Alarm’s functionality. This is an aspect that should be used in timely intervals to ensure optimal performance. Many of the USI Alarms also feature an End of Life Function that will remind you of the immediate need to change the unit’s batteries. It is recommended that you change the batteries on your USI Alarms at least twice a year. For any additional information on our USI Alarm's specifications, performance options and availability, be certain to frequent the UniversalSecurityStore.com and browse through our extensive selection of Industry Defining Alarms.